Losing a family member is emotionally and psychologically devastating. That pain is then exacerbated when it is revealed that your loved one’s death may have been caused by the negligence of another person or company. Eight families are struggling with these same emotions after it was reported that eight nursing home residents died due to severe heat in a nursing home in Hollywood, Florida. The Rehabilitation Center at Hollywood Hills reportedly contacted the Emergency Operations Center to alert them to a loss of power which was then routed to Florida Power & Light as a serious request needing immediate action. Reports indicate that when emergency personnel arrived at the facility, they asked staff members whether there were any medical needs or emergencies. Officials at the nursing home failed to request assistance or alert authorities to any medical emergencies. Less than two days later, eight people are dead. The nursing home claims they had a generator on standby, in addition to plenty of food and water. The nursing home also claims that it established mobile cooling units and fans to help lower the temperature at the facility. The obvious question then is, if they took all of these precautions, how did eight residents die due to heat exposure? Governor Rick Scott released a statement describing the situation as “unfathomable,” according to ABC News. He also stressed that every long-term care facility in the state is obligated to take every action and precaution necessary to keep patients safe. The Governor declared the Agency for Healthcare Administration and the Department of Children and Families has been tasked to collaborate with law enforcement on an investigation into this tragic incident and that if the best interests of the nursing home residents were ignored, they will be held accountable. Suspicion that the nursing facility may have been lax in fulfilling their duty to put their patient’s best interests at the forefront is well-founded. The Rehabilitation Center at Hollywood Hills has a poor track record with annual state inspections. The Florida Agency for Healthcare Administration gave the nursing home a rating of “much below average,” according to the Miami Herald. In addition, the manager for the nursing home facility was hit with a $15.4 million fine by the Justice Department in the settlement of a civil fraud complaint against the company. If there is evidence that a nursing home or long-term care facility acted negligently, they can be held civilly liable for any harms and losses proximately caused by that negligence. If a loved one dies while residing in a nursing home, a personal representative of the victim’s estate can file a wrongful death claim against the facility to pursue financial restitution. 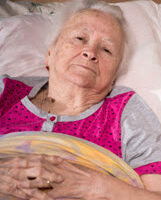 It is reprehensible for a long-term care facility to neglect or intentionally harm a patient. That is why it is important to hold the facility accountable if wrongdoing is discovered. The law firm of Alan Goldfarb, P.A. is here to help.